Howdy friends, Lauren here from LaurenKelp.com & today is one for the books. As you might have guessed, we love just about any excuse to throw a party, so when the weather is warm & the wine is chilled, that’s as good of an excuse as any. 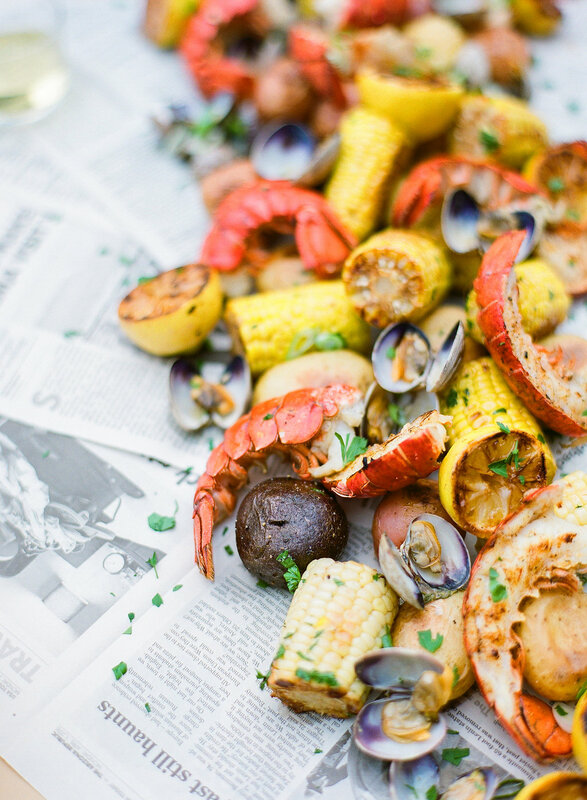 Have you ever been to a seafood boil? How about hosted one? Today we are going to share our favorite boil recipe & some easy (seriously!) steps on how to throw this fun get-together & if this doesn’t have you sending out invites, I don’t know what will! The best thing about summer (in my opinion) is a built-in excuse to get people together. 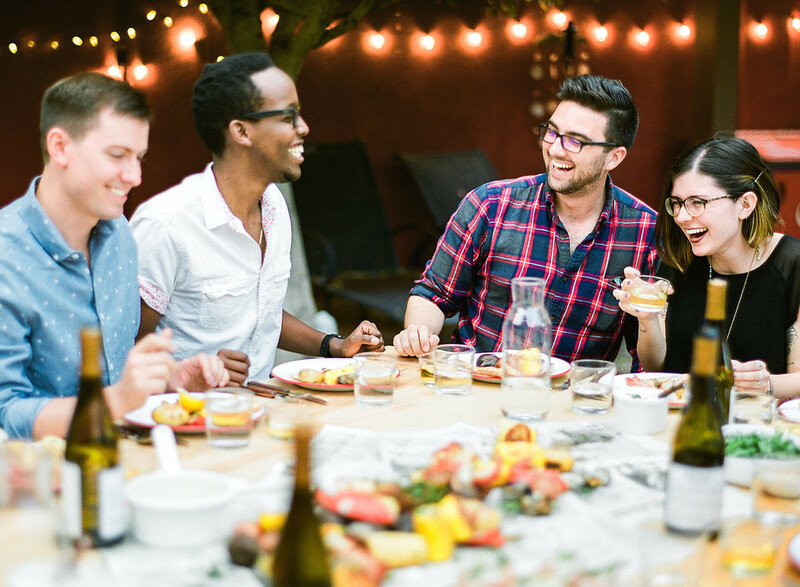 Everyone wants to be outside, around the grill, drinking Kendall-Jackson Vintner’s Reserve Chardonnay, and hanging out & who can blame them? But when you’ve had about 6 backyard barbeques in a row, it is time to spice things up! That’s where the seafood boil comes in! Much easier to throw one than you might think, we are sharing all the festive details over here. Five simple steps & you’ve got yourself a new summer go-to, but first things first, the food! 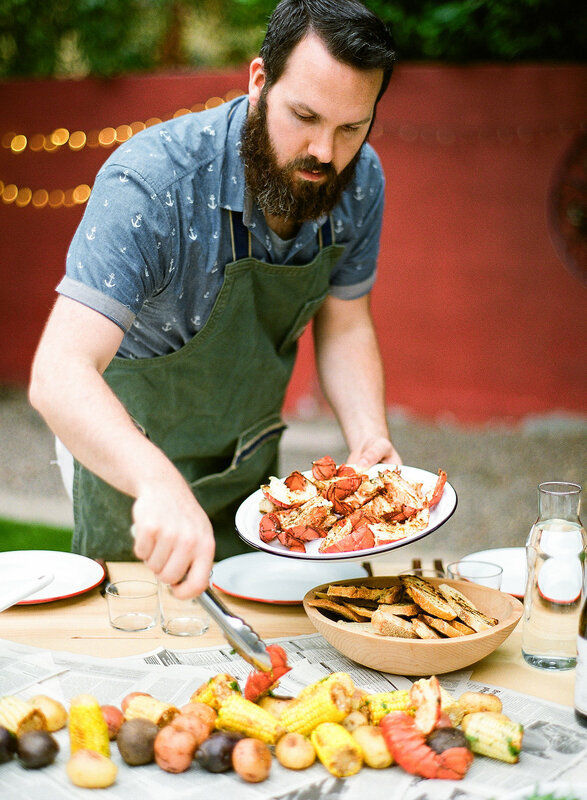 We’ve got the most insane seafood boil recipe below that we just can’t wait for you to try. 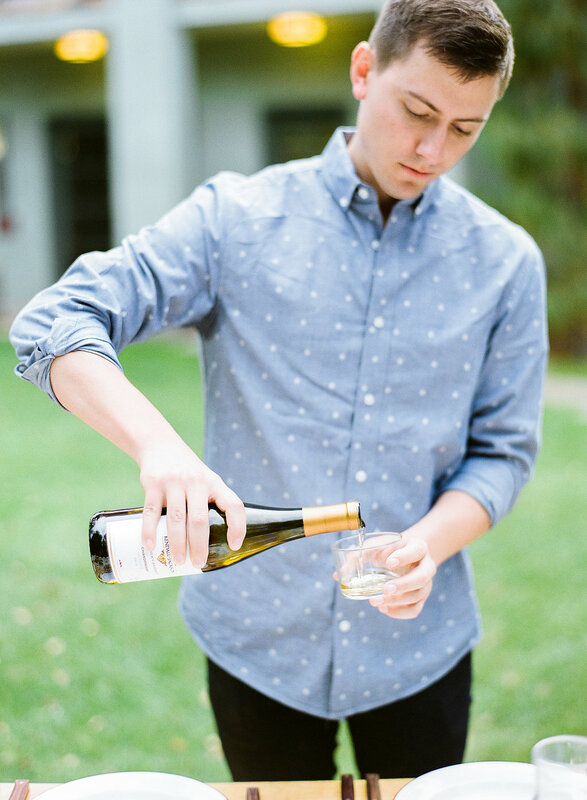 Pour yourself a glass of chilled Vintner's Reserve Chardonnay. Fill a large pot (think very large) ⅔ full with water & a few pinches of salt & bring to a boil over high heat. Grab another large pot and put your small potatoes & cut onions into it with 4 cups of water, sprinkling in Old Bay and salt. While all of that is happening in pot #2, drop lobsters headfirst into salted boiling water & cover. Let them cook until the shells turn bright red (about 10-15 minutes depending on your burners). Grab some tongs, and gently remove lobsters from the pot. We like to split our lobster tails in half (lengthwise), but if you have another preference, have at it! Remove your corn, onions, potatoes, & mussels from the pot, throwing away any mussels that aren't open. Add in your lobster tails and serve straight down the center of the table (assuming it is covered in several layers of newspaper). Melt your butter in a saucepan and divide into little ramekins for around the table. Bring out the salt, pepper, Old Bay, or whatever other seasonings you like & dig in! Serve with a big glass of chilled Vintner's Reserve Chardonnay & have the best dinner of the sea! So, what do you think? 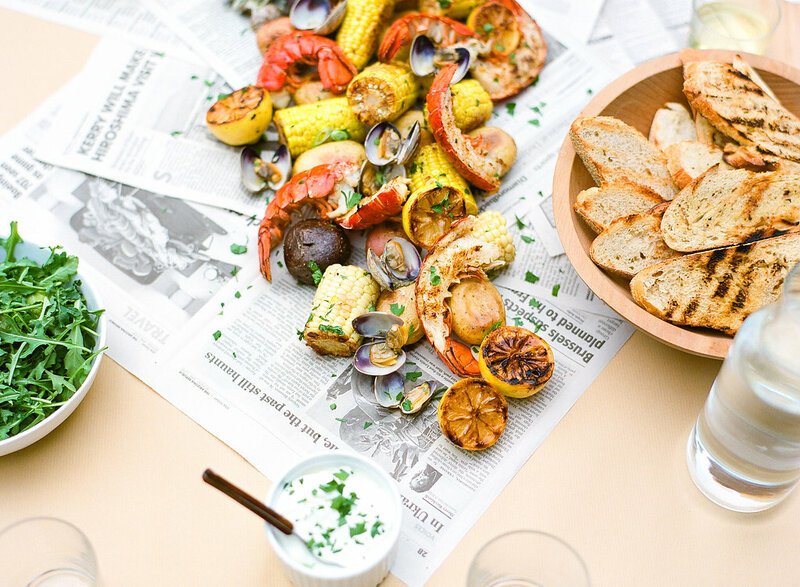 Ready to call the gang over and have yourself a good old-fashion seafood boil? 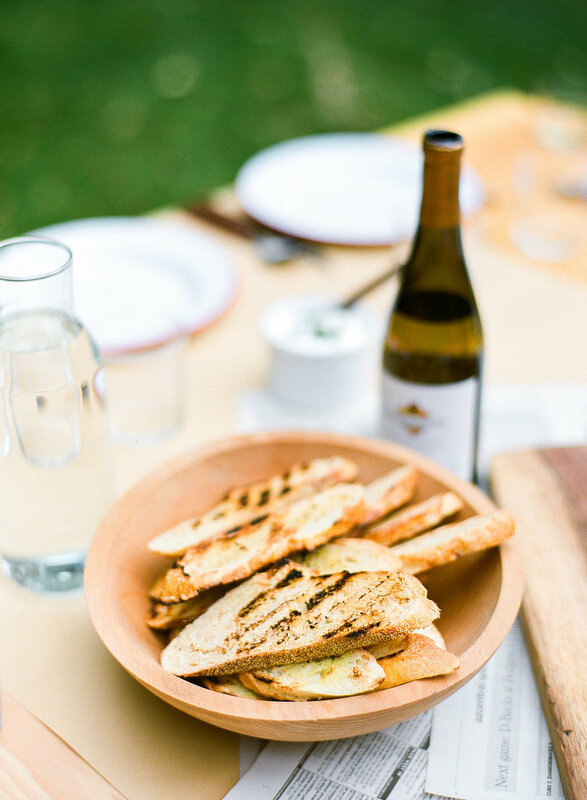 The best part is having a relaxed afternoon to spend sipping great wine, eating delicious food (with your hands! ), and sitting around the table with your community. What could possibly be better?